This spoon is pictured in both Dorothy Rainwater's book "Spoons from Around the World" p.153 and my book, "Collectible Souvenir Spoons". Both of us used the Gorham spoon marked H78 for the picture. The spoon pictured below does not have the Gorham mark, but the spoon is identical. Ms. Rainwater gives information about the actual cost of manufacturing this spoon. This spoon was also featured in an article in Silver Magazine, Mar-Apr, 1991. 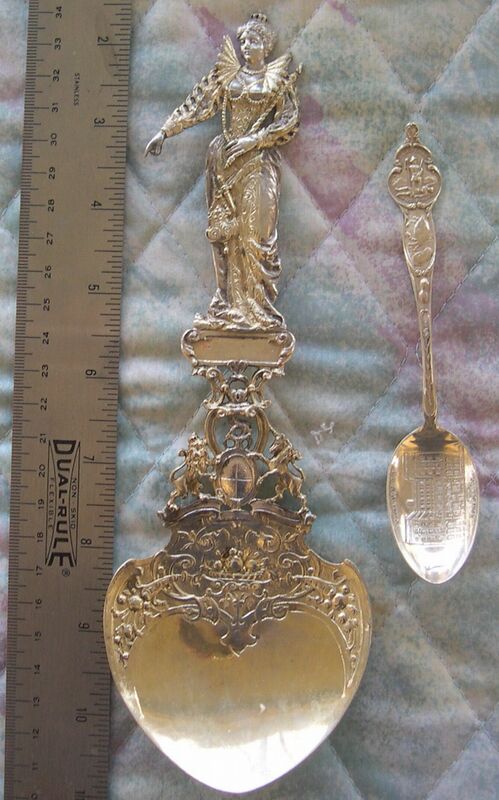 It is normally accompanied by the King Henry V111 spoon, but I don't have that one. I don't know if the version I have is a reproduction of the Gorham piece or vice versa. 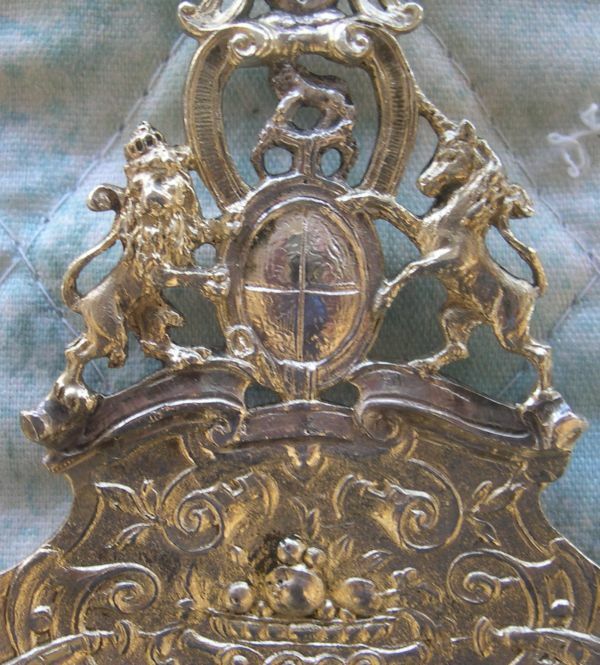 Gorham had opened a small shop in England and it is now believed that they purchased this spoon from a competitor and sent it to their home factory for reproduction. I do not know if that is true or not. In any case, this server spoon is very beautiful and impressive. I have included a ruler and a normal sized teaspoon to give you an idea of size. and is marked 800 with the German crescent/crown mark. Notice the beautiful detail in her gown as well as the style of dress with the flamboyant arms and wing style shoulders. The emphasis on her bosom would be considered to be rather immodest by today's standards. 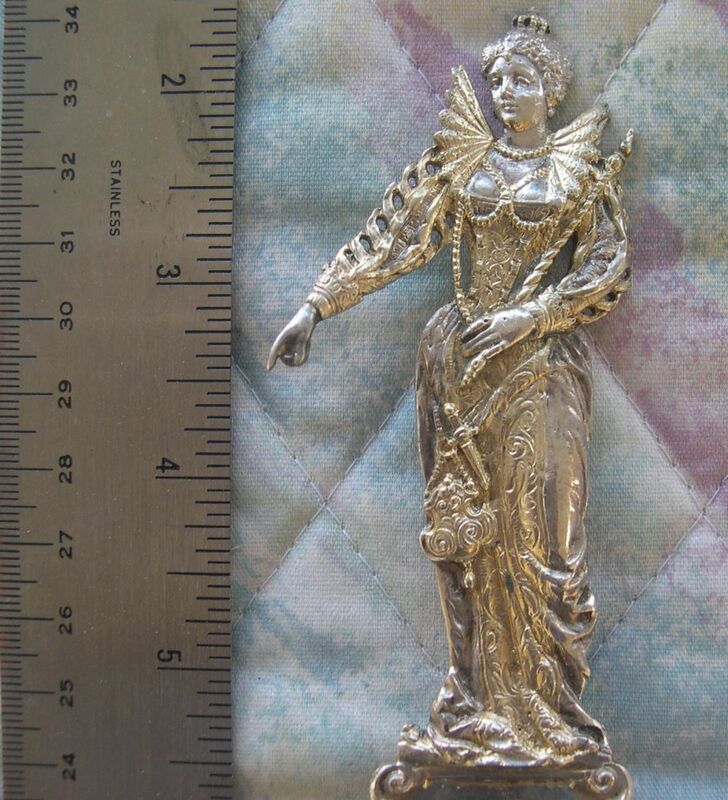 I also thought it was interesting that she is wearing a dagger as well as other adornments. 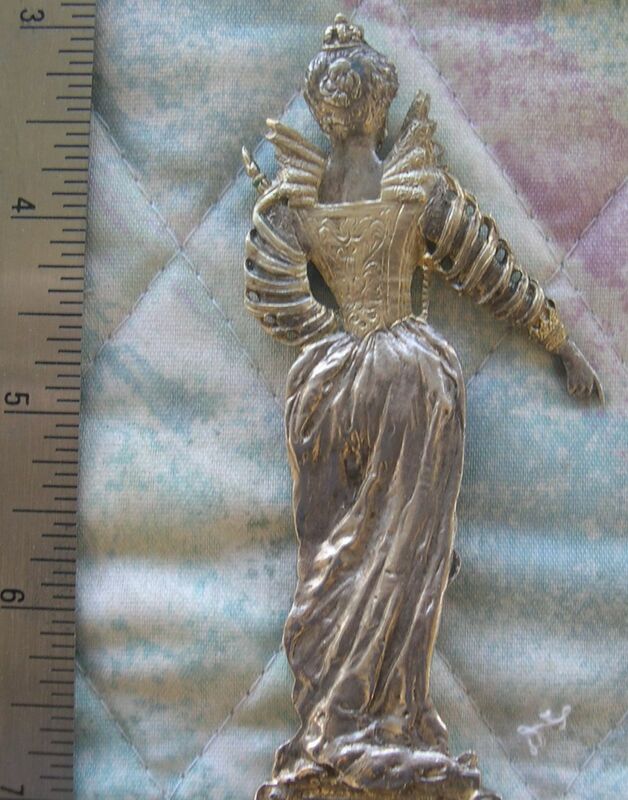 Parts of this cast crowned figure are gold washed.